Is there anything better than a homemade cookie straight from the oven? Well, you can get the same result from your microwave in a fraction of the time! 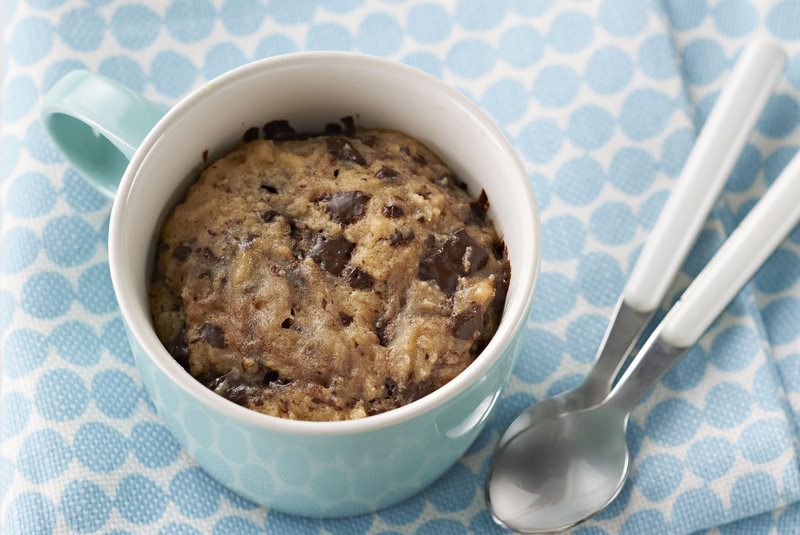 This ooey-gooey Peanut Butter-Chocolate Cookie will be your go-to treat when you have a hankering for something sweet. Microwave butter and peanut butter in microwaveable mug, ramekin or small bowl on HIGH 20 sec. or just until butter is melted. Add sugars; mix well. Stir in egg yolk, then flour and chocolate. Microwave on HIGH 40 to 50 sec. or just until centre is set. Cool 2 min. before serving with 2 spoons. Prepare using your favourite variety of Baker’s Chocolate. Mug will be hot. Use kitchen towel or pot holder to carefully remove hot mug from microwave before serving.